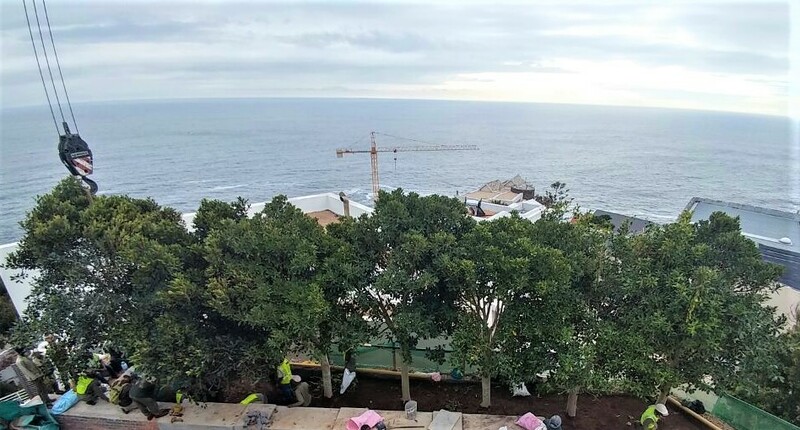 When it comes to screening off your neighbours so that you have exclusive sea views, there’s nothing better than a living screen where the birds can chirp and the bees can buzz. 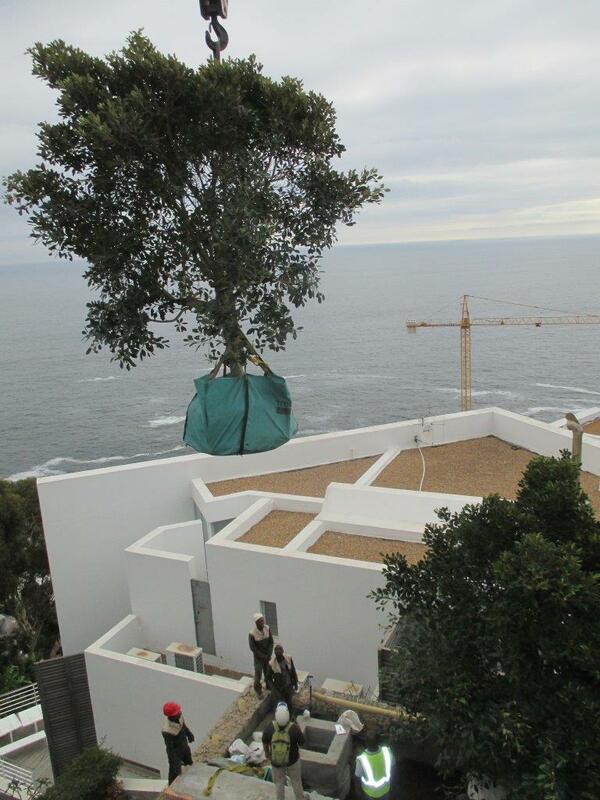 And this is exactly what the clients received. 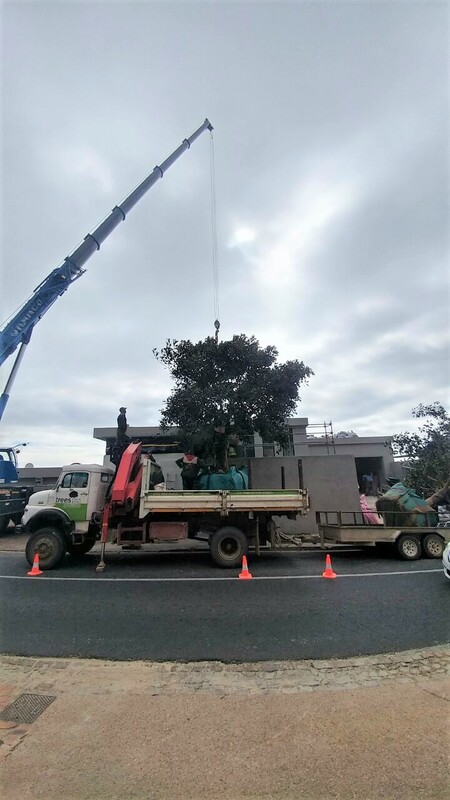 Screening trees are one of the most popular requests from customers who are looking to purchase mature trees for their property. 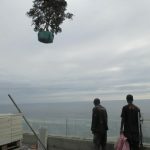 Knowing this makes us prepared to always have a vast range of species and sizes available at our nursery that can do the job. 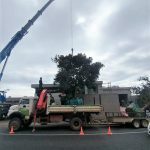 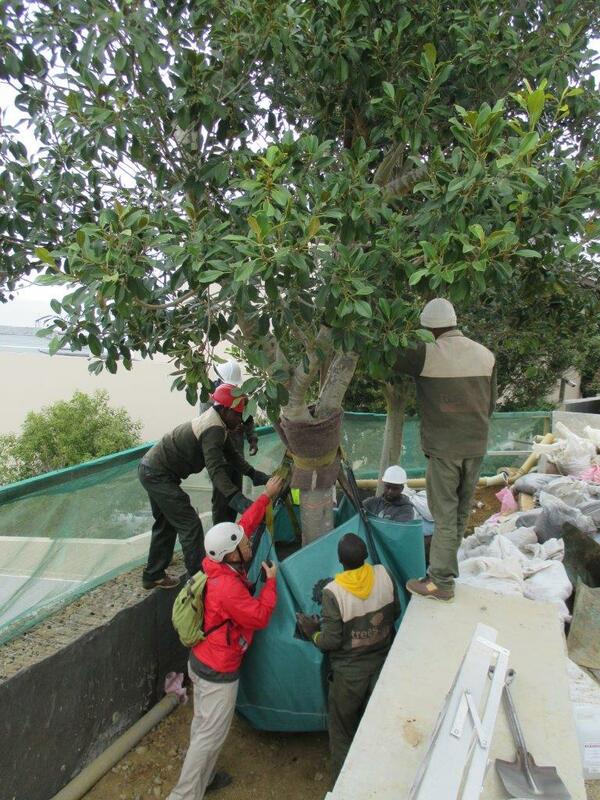 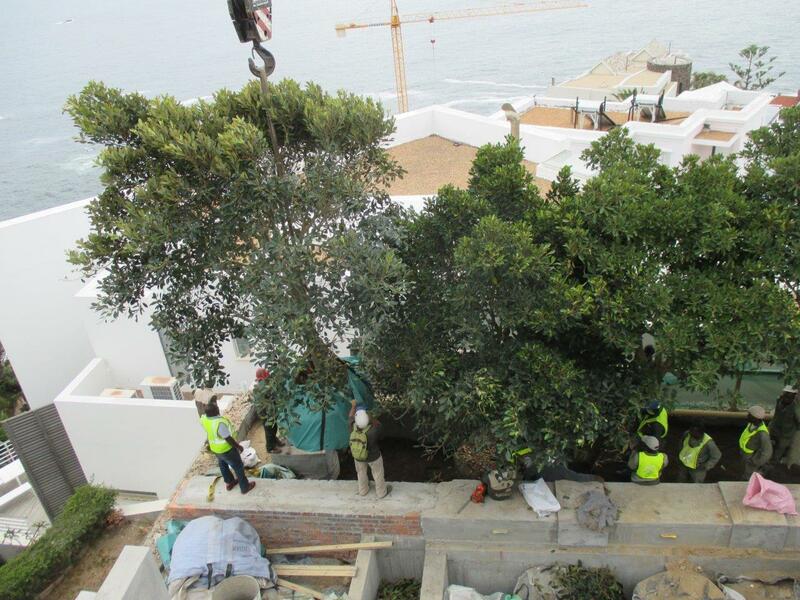 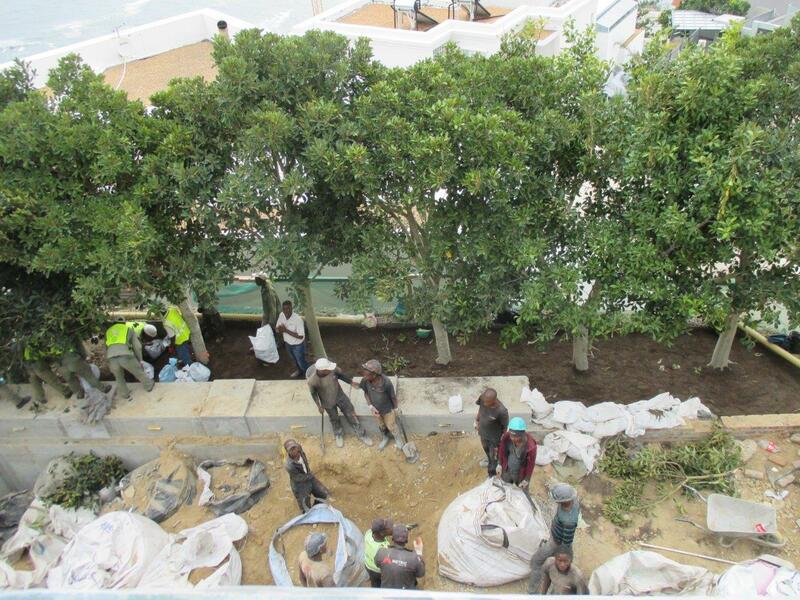 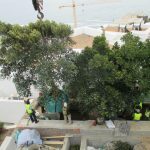 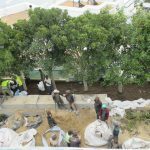 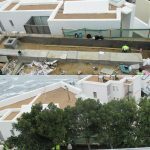 So when Contours Landscapes approached us to provide their client with 6 x 2000-litre bagged Ficus rubiginosa (Port-Jackson Fig) trees, we knew we could supply and deliver. 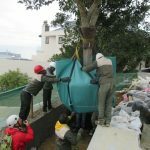 The challenge to this project was getting the trees to their new home. 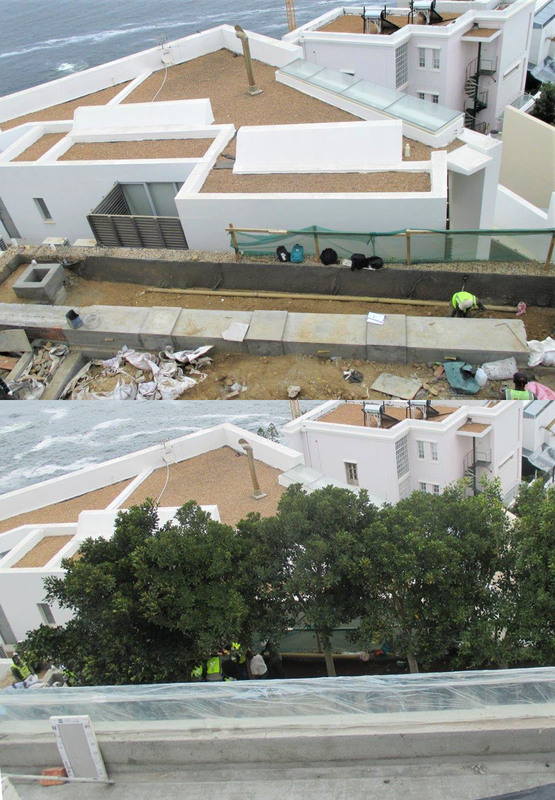 Having a seafront home in Bantry Bay means tight parking spaces and many levels in order to get that seaview that everyone strives for. 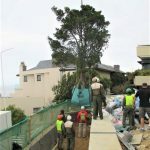 In this case, a mobile crane was hired in order to lift the 2ton trees over the house from the mountain side so that it could reach the planter on the seaside. 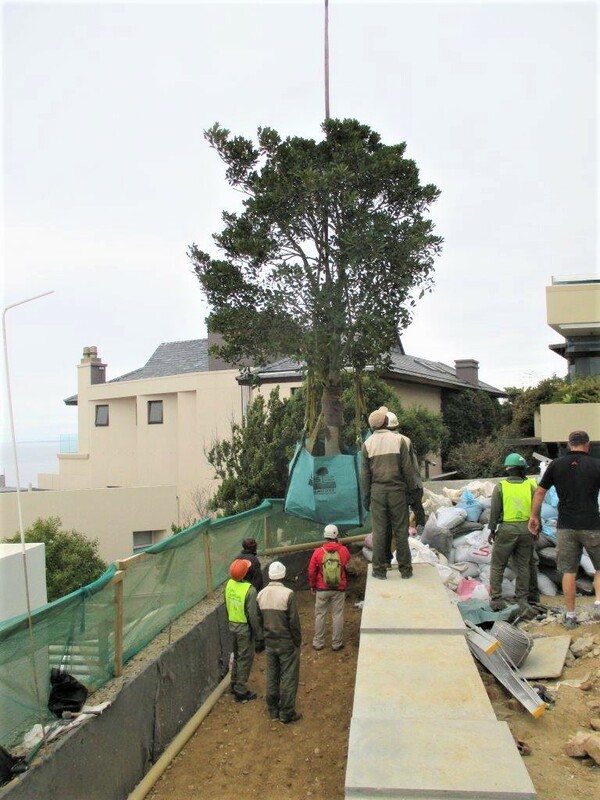 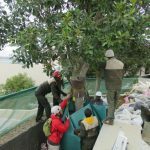 After careful coordination between our teams on the crane side and planting side, a half road closure and heavy lifting and planting of the 7 very large trees, we managed to finish the job in 1 day. 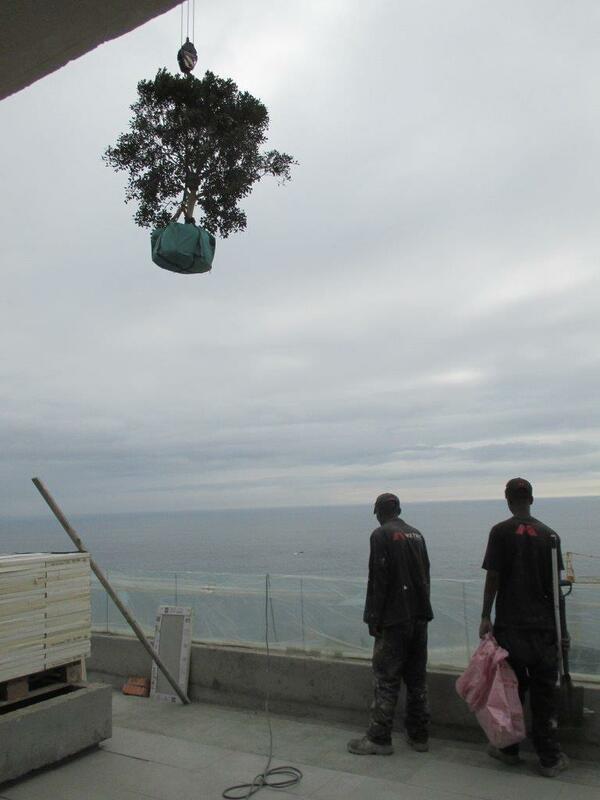 And we think it makes an instant difference – view photos below. 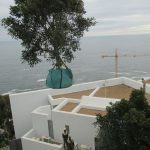 There’s no need to wait many years for your trees to grow. 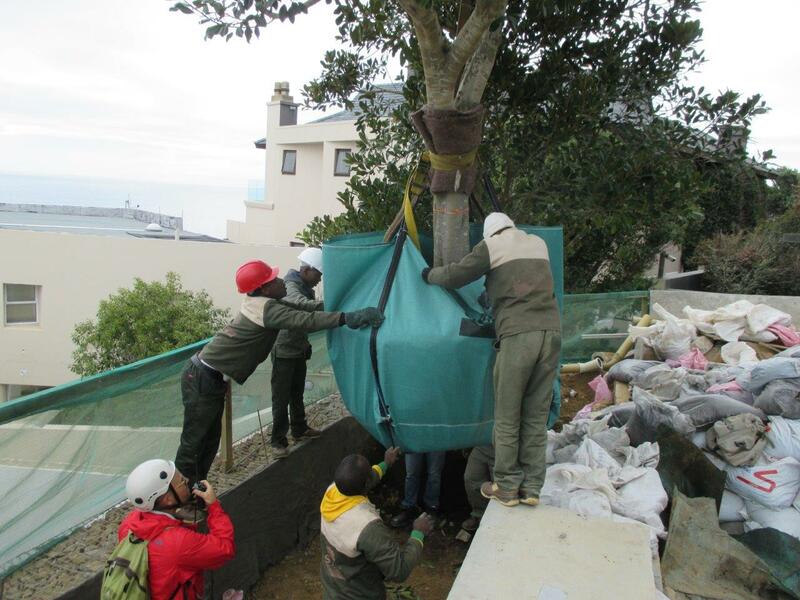 Get the tree effect you need in just 1 day! 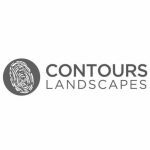 Thank you to Contours Landscapes for selecting us to be your tree supplier and installation team.